Our Passion is to provide you with an inspired space that allows you to live without compromise. A combination of open plan living, private sanctuaries and green space, the perfect place to call home. The Woodhead Family has been rooted in Edwinstowe since 1770. Strong family values drive everything we do and how we do it. Our fabric first approach gives you an airtight and insulated home that ensures your bills are kept as low as possible. We have six different types of house available for you to choose from on our Rufford Pastures Development and each design offers you choice and options to customise your new home. Once your reservation deposit has been paid, we can then show you options to customise or upgrade areas of your new home. These options include significant changes such as adding or removing non structural walls, to smaller changes such as the placement of light switches, or upgrading your kitchen specification. We want you to be able to make your home your very own. Whether you’re a first time buyer, a growing family or looking for an investment in the future our expertise in this field means that we are able to offer you the best solutions available. We liaise with many different professionals to make your move simple. A huge benefit of buying a home in Edwinstowe with Woodhead Homes is our legacy and aftercare packages. For the duration of our build programme our team will be on hand to answer any questions. We call the first six months after you have moved into your new home the “Settle in Period” where we will make sure everything continues to run smoothly, visiting you regularly, listening and acting on your feedback, as part of your package. This is managed by our dedicated aftercare team. 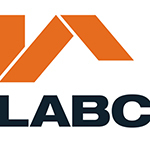 All our homes benefit from a robust 10 year warranty through the NHBC. For the first two years after completion, we, the builders of your home provide a more extensive warranty. A member of our team will be able to answer any specific questions you have over the phone, or alternatively we are at Edwinstowe House in the village if you would prefer to visit us in person.